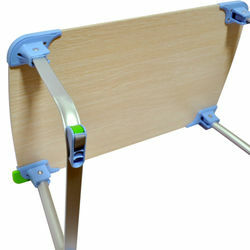 DGB Dime-B U2 Multi Functional Table, the must have evergreen series of Laptop Portable Tables. Easy in operations, sets up in seconds, very light, extra strong and sturdy. Product Features Ultralight & Durable Material Smart Design Multipurpose Usage Foldable Legs Suitable For Laptop. DGB Dime-B U2 Multi Functional Table, the must have evergreen series of Laptop Portable Tables. Easy in operations, sets up in seconds, very light, extra strong and sturdy. Product Features Ultralight & Durable Material Smart Design Multipurpose Usage Foldable Legs Suitable For Laptop. 6 Months Against Manufacturing Defects.